The Guadalupe County Crime Stoppers organizations is a community-based partnerships formed by dedicated citizens, law enforcement, and the media. We work together toward a common goal: the reduction of crime and the arrest and conviction of criminals and fugitives state and county wide. The “Go Live” Date for the Guadalupe County Crime Stoppers program was Wednesday, September 1, 2010. 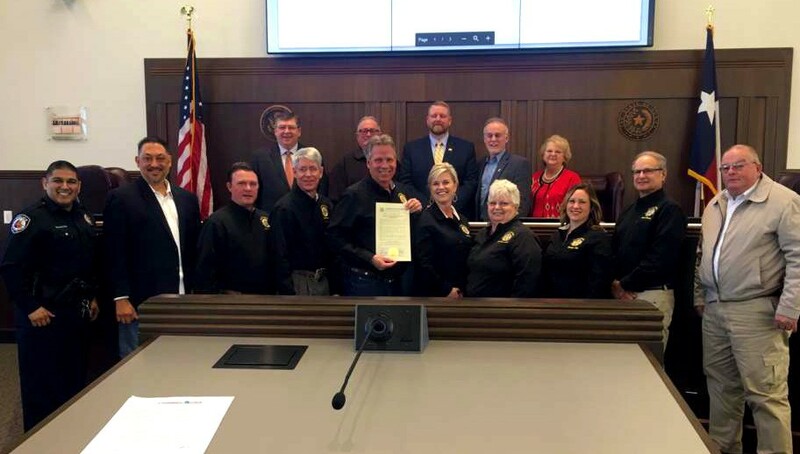 Under the direction of the organization’s Chairman of the Board Ken Kiel, the former Secret Witness Committee of Guadalupe County has been transformed into the new Guadalupe County Crime Stoppers. The new Crime Stoppers includes directors from all areas of the county in an effort to get widespread participation. Carmen was only two weeks away from getting married and had taken an extra shift at the gas station to give a co-worker the night off. When police responded to an emergency call they found Carmen gravely wounded. He’s been shot in the abdomen at point blank range with a 12-gauge shotgun. The medical staff kept him alive for four hours and during that time he tried to tell detectives who was responsible, but he just didn’t have the strength to form the words. For his efforts Detective MacAleese was named one of the people in the 1970’s who changed the face of the United States and was also named the country’s Police officer of the Year. It’s also interesting to note that since adopting Crime Stoppers Albuquerque’s crime rate has dropped significantly and no longer is ranked in the list of 20 cities with the highest per capita crime rate.